The exhibition, entitled "Roma Aeterna. 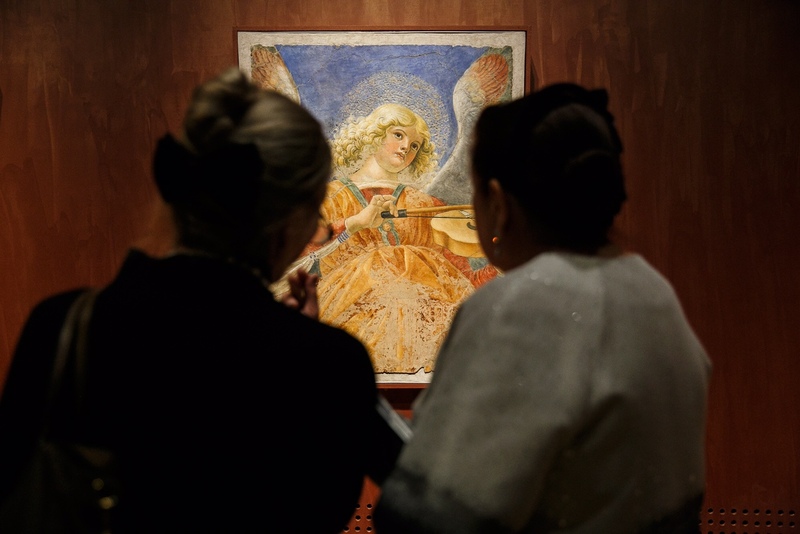 Masterpieces of the Vatican Pinacoteca" opened on Nov. 25. Russia’s State Tretyakov Gallery had to extend by 10 days the largest-ever exhibition of masterpieces from the Vatican’s Pinacoteca following unprecedented success, the museum’s chief said. "We are pleased to announce that Barbara Jatta, the new head of the Vatican Museums who attended our exhibition’s opening when she still was a deputy chief, quickly responded to our request and agreed to extend the exhibition. We are extending it from Feb. 20 to March 1," Zelfira Tregulova said on Feb. 1. As before, a limited number of tickets will go on sale. Only 100 visitors will be allowed in every 1.5 hours due to the need to maintain proper temperature and humidity in the hall. The latest batches of tickets will go on sale at the museum’s ticket office on Feb. 10. Online sales will begin on Feb. 17. The museum will switch to special schedule during this period. It will be open on all days, until 9.00 p.m. Moscow time. The exhibition, entitled "Roma Aeterna. Masterpieces of the Vatican Pinacoteca" opened to the general public on Nov. 25 in the Engineering Building of the Tretyakov Arts Gallery. It features works by Raphael, Caravaggio, Giovanni Bellini, Carlo Crivelli, Margarito di Magnano and other artists. According to Jatta, the Vatican Museums had never in the past let such a big number of exhibits to be taken for display outside the Pinacoteca, the collection of which comprises about 470 paintings. One-tenth of that number of canvasses is now on display in Moscow. All items are from the main display, not from the depositary.